I read this article and found it very interesting, thought it might be something for you. The article is called Despite Progress, Malnutrition Kills Too Many Indian Children and is located at https://archive.indiaspend.com/cover-story/despite-progress-malnutrition-kills-too-many-indian-children-77908. Fewer Indian children are dying from malnutrition than ever before—the under-five mortality rate has declined 55% over the last 24 years—but too many still die, and India lags the majority of the world’s countries, including poorer neighbour Bangladesh. About 56 out of 1,000 kids under the age of five died in India in 2012, according to the Global Nutrition report, from malnutrition—the condition that develops when the body does not get the right amount of the vitamins, minerals, and other nutrients. So, you solve it by getting better food to people, right? Well, it turns out that is just part of the answer. Studies from World Health Organisation (WHO) suggest that clean drinking water, proper sanitation facilities and female education play key roles in reducing the under-five mortality rate. This is not to gloss over the fact that the under-five mortality rate is steadily declining. In 2012, the death rate fell from 61 deaths (per 1,000 live births) from 2010, a decline of 8%. Measured from 1990, the death rate fell from 126 to 56 deaths per 1,000 live births. The number of Indian houses with piped water has increased since 2000, and so have sanitation facilities. While open defecation has come down from 63% in 2000 to 48% in 2012, it continues to be a matter of national concern. Female education is a key reason for improving the nutrition rates of under-fivechildren and reducing mortality. This study found that children whose mothers have little education tend to have lower nutritional status than children of better-educated mothers. The impact of Sarva Shiksha Abhiyan, a central-government-sponsored education programme launched in 2000, is apparent on the rising enrolment figures of girls. While only 38% of girls were enrolled in secondary education in 2000, the number increased to 66% in 2011. Finally, the bad news: India’s child mortality rate when compared to other BRICS countries and the rest of the world is still high. 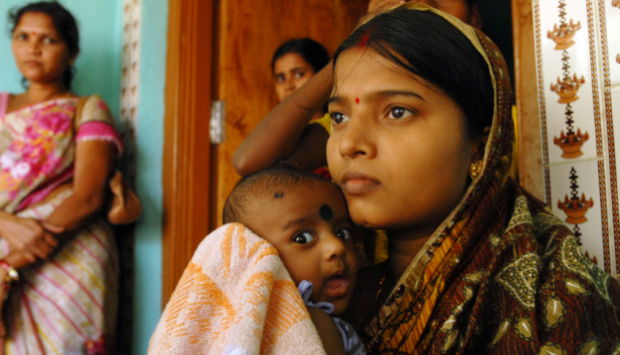 Among the BRICS, India has the highest under-five child mortality rate (56) followed by South Africa (45). In the sub-continent, Pakistan has the worst record with 86 child deaths per 1000 live births and Indian ranks second with 56 child deaths per 1000 live births. Bangladesh has improved in its figures, having brought it down from 47 in 2010 to 41 in 2012. India can learn a lot from the state of Maharashtra, which has reduced the numbers of malnourished children by more than 12% between 2006 and 2012, largely due to the coordinated efforts of NGOs, government and the people.